A new report from jobs portal CareerCast ranks the 10 most dangerous professions in the United States. And while some of the trades listed are rather obvious, others are not. NEW YORK ( TheStreet) -- It's a dirty job, but somebody's gotta do it -- or, rather, dangerous. A new report from job search portal CareerCast ranks the 10 most dangerous professions in the United States. And while some of the trades listed are rather obvious, others are not. To generate its ranking, CareerCast focuses on two factors -- degree of hazards personally faced and degree of peril faced by others working alongside -- to define on-the-job danger. It has also taken into account injury tracking and work-related distressed statistics gathered from the U.S. Bureau of Labor Statistics, Department of Labor and U.S. Census. According to the Bureau of Labor Statistics, the final count of fatal work injuries in the United States in 2013 was 4,585 -- the second-lowest annual total recorded since the census was first conducted in 1992. Certain groups were affected disproportionately. Men accounted for 4,265 fatal occupational injuries, while women represented 319. Transportation incidents caused 1,865 deaths, violence and injury by people or animal caused 773, and falls, slips and trips led to 724. Here is a deeper look at the 10 most dangerous jobs in the U.S. The perils faced by pilots largely depend on where they're employed. National Transportation Safety Board statistics show that the general aviation accident rate dropped to a 20-year low in 2013; however, on-demand operations including charter, air taxi, air tour and air medical experienced more accidents than the previous year. Pilots may face another unforeseen risk in their exposure to the sun while flying. According to a report from JAMA Dermatology reported by U.S. News, the windshields used in airplanes are not strong enough to protect the inside of a plane from UV radiation. The BLS lists the annual median pay for airline and commercial pilots at $98,410 per year. The job outlook is rather stagnate, and the field is expected to shrink by 1% from 2012 to 2022. The BLS warns that dealing with animals, both wild and tame, can be unpredictable and, at times, dangerous. Work can be as physically taxing as it is emotionally exhausting, especially in situations where sick animals need to be euthanized. The median pay for animal care workers is $19,970, which breaks down to $9.60 per hour. Animal trainers make a bit more, with a median annual wage of $25,270. The growth outlook for the area is 15% over a 10-year period. Of the 4,585 worker fatalities in the private industry in 2013, 828 -- or 18% -- were in construction. 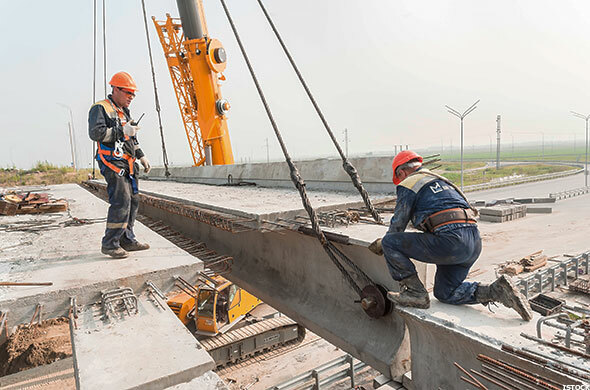 The leading cause of worker deaths on construction sites was falls. Work in construction is also physically demanding and often requires work at great heights or outdoors in extreme weather conditions. According to the BLS, construction laborers have one of the highest rates of injuries and illness. Construction laborers make an annual median pay of $29,160, or $14.02 per hour. The sector's growth outlook is much faster than average and is expected to expand 25% from 2012 to 2022. 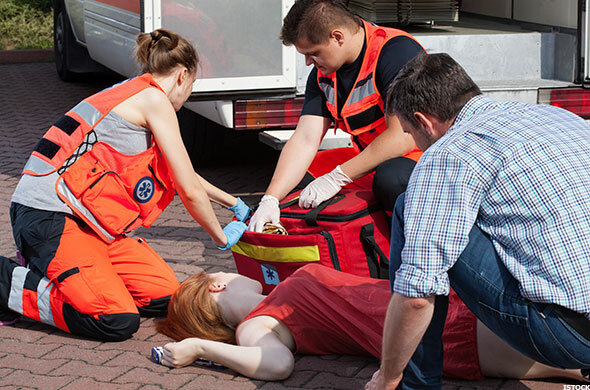 According to a group of researchers in the United States and Australia, workers in emergency medical services have similar, if not higher, rates of serious injury and mortality than police officers and firefighters. Injuries are often tied to muscular sprains and strains and back injuries, while most fatalities are the result of traffic accidents and aircraft crashes. Some injuries and deaths are also caused by patients or are the result of violent crime. Emergency medical technicians (EMTs) and paramedics earn an annual median pay of $31,020, which comes out to about $14.91 per hour. The sector's 10-year job growth is 23%, with 55,300 positions expected to be added by 2022. 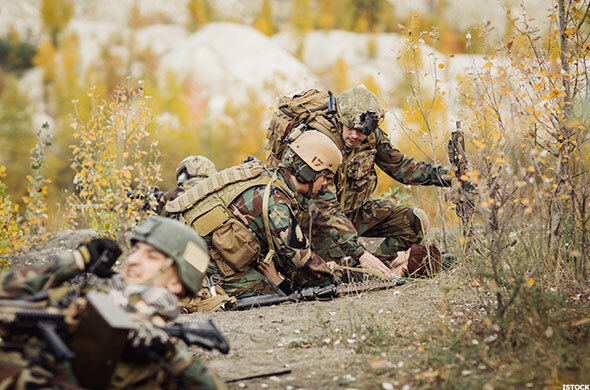 Not only has CareerCast identified enlisted military as one of the most dangerous jobs, but it has also declared it one of the most stressful and worst careers out there as well. CareerCast editor Tony Lee told MilitaryTimes enlisted jobs are worse in 2015 than in previous years. "The obvious parts of physical danger, high stress, and lower pay are the same, but there is a new aspect to it that had a more negative effect," Lee said. "It's no longer as secure as a career choice." The annual median wage paid to enlisted military personnel is $21,664. According to a 2013 report from the BLS, over a four-year period, an average of 31 firefighters were killed on the job annually, and 14,700 suffered work-related nonfatal injuries and illnesses that resulted in time away from work. 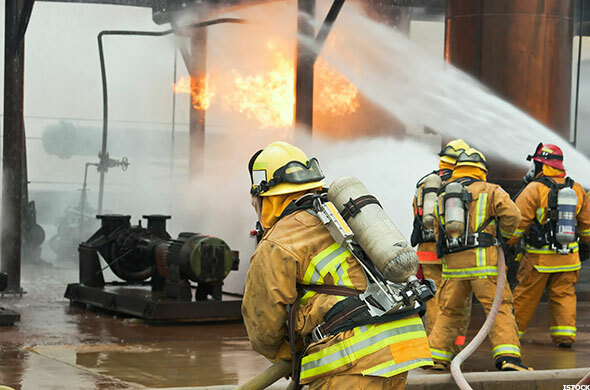 Fires and transportation incidents were the two primary causes of fatal injuries, while nonfatal injuries and illnesses were associated with overexertion, contact with objects and equipment, and falls, slips and trips. Firefighters earn a median $45,250 annually, or $21.75 per hour. The field is growing, albeit slowly, and is expected to expand 7% by 2022. California, Texas and Florida are the states with the highest level of occupation for firefighters. Truck drivers have among the worst injury and mortality rates of all workers. According to the BLS, drivers/sales workers and truck drivers accounted for more than 60% of all fatal work injuries in transportation and material moving occupations in 2013. 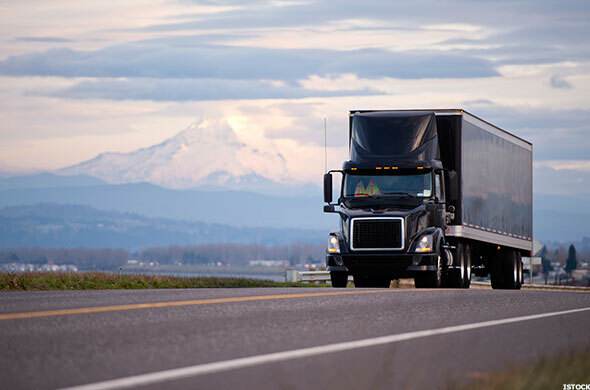 The Federal Motor Carrier Safety Administration (FMCSA) has moved to impose hours of service regulations for truck drivers, including enacting a 70-hour work week. In December 2014, some regulations were rolled back -- specifically, the enforcement of a 34-hour restart rule that is required to include two periods from 1 a.m. to 5 a.m. and is limited to once-per-week use. The rule could go back into effect once the FMCSA determines its impact on safety. Heavy and tractor-trailer truck drivers earn a median $38,200 annually, or $18.37 per hour. The 10-year employment growth outlook in the sector is 11%, with 192,600 jobs expected to be added through 2022. The Occupational Safety & Health Administration cites logging as the most dangerous occupation in the United States by many measures. The tools and equipment used pose hazards, and loggers deal with massive weights and the momentum of falling, rolling and sliding trees and logs. They also work in harsh environmental conditions and inclement weather. 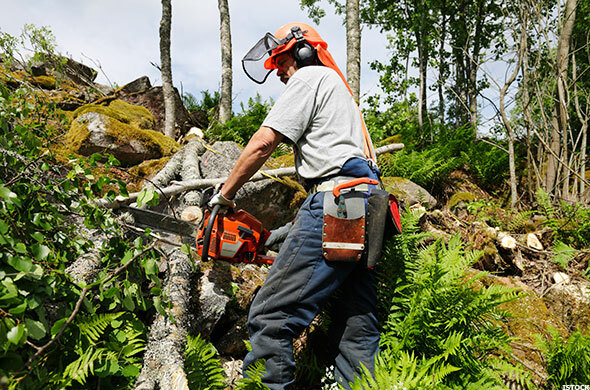 The BLS recorded 81 fatal occupational industries in forestry and logging in 2013, two-third of which were the result of contact with objects and equipment. The field is a declining one as well, with logging workers expected to lose 3,800 jobs over the course of a decade. Lumberjacks and loggers make a median $33,630 annually, or $16.17 per hour. Parole officers and correctional treatment specialists deal with potentially dangerous criminal offenders on a day-to-day basis and may be assigned to field work in high-crime areas or institutions where risks run high. 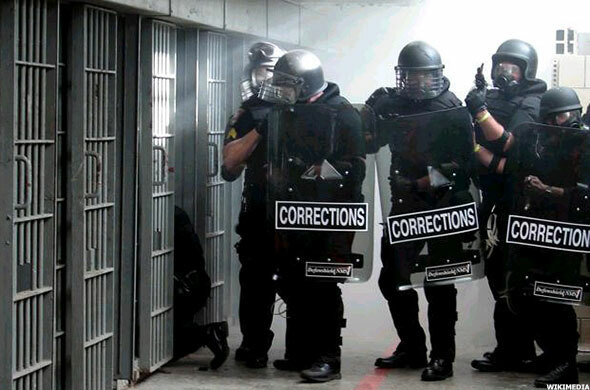 A recent investigation into the Florida Department of Corrections' community corrections program exposed the dangers probation and parole officers face and found that such professionals are not adequately outfitted to monitor former felons on court-ordered supervision. Not only does this imply risks for officers, but for the general public as well. Parole officers receive an annual median pay of $48,190, or $23.17 per hour. The sector is not expected to grow much from 2012 to 2022 -- instead, an estimated 900 jobs will be lost. Police departments have found themselves at the center of controversy in recent months, facing allegations of brutality and abuse of power in many parts of the nation. But officers are often victims as well. According to the Officer Down Memorial Page, 67 law enforcement officers have lost their lives in the line of duty in 2015 so far, and in 2014, 134 died. 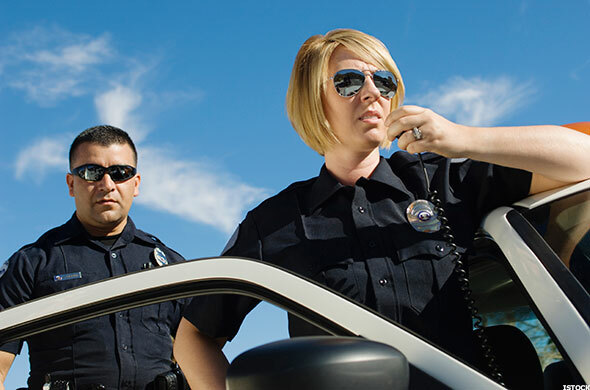 Police officers have an annual median wage of $56,980, and the 10-year job growth outlook for the field is a steady 5%. The states with the highest levels of occupation in the area are California, Texas and New York.